Most Americans know about Small Business Saturday – it’s 72 percent of them, according to last year’s survey by sponsor American Express and the National Federation of Independent Business (NFIB). They’ve also become pretty supportive since the annual day to support local businesses and community entrepreneurs was launched in 2010. With a connection to neighborhoods, lots of social media promotion and the overall cultural shift to “support local,” shoppers spent an estimated USD$15.4 billion at independently owned stores and favorite dining spots last year. Yet the multiplier effect everyone talks about on Small Business Saturday has real power when you build the shop-local practice into your lifestyle, and see impacts you may not have noticed before. For every $100 spent locally, just $32 leaves the community. The rest goes toward paying your neighbors, but also to local suppliers and service providers, utilities, and property and other taxes. That’s a 25 percent boost over the same expenditures at a non-local business, and that’s a real win at home. If you’re participating, here’s something else to think about: Although it’s fun to browse a boutique owned by a mutual friend, or admire and choose a few gifts made by local artisans, Small Business Saturday has real impact when it’s what you do all year round with far more mundane stuff. Do you buy groceries, and that’s a question apart from farmer’s markets and local co-ops? Many communities have locally owned supermarkets that compete with the national giants like Kroger. 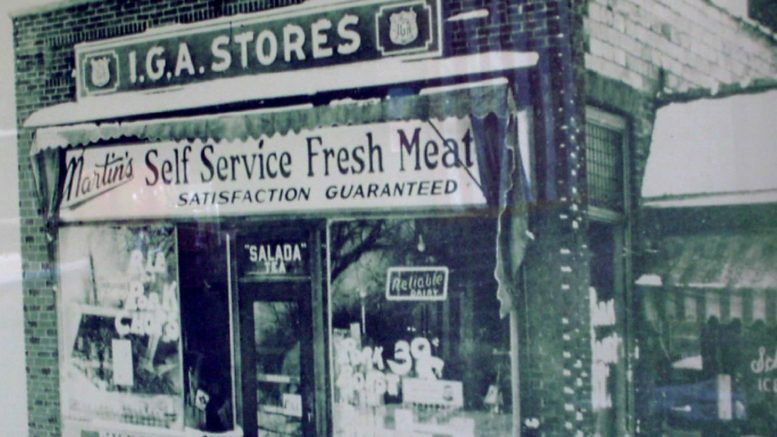 In my city, there’s a family-owned chain of 21 stores that started with an 800-square-foot shop in 1947, when the “I” in IGA already stood for independent. It’s heavily invested in its employees and its corporate stewardship, and their growth didn’t make them any less “local” over the years. It’s not a boutique, but there’s a chance that “Shop Small” opportunities like that one – pets, pharmacy, greenhouse, gas pumps – can be a part of your weekly routine all year. That’s if you know the background of businesses already in your community that once began as startups too. Haircuts, banking accounts, oil changes and furnace filters don’t make for an exciting outing. But they are what makes Small Business Saturday more than just another feel-good, join-the-crowd day. Local credit unions who invest in their communities are a great option for accounts, loans, credit cards and other services – and they deserve the business. Paying the mortgage to an office that’s just four blocks away, on a loan served by a woman you know, is what builds both business and community. Taking the car to the neighborhood garage supports independent owners who’ve been in business for decades and give back to the people who live there. At one spot in town, there’s a guy who accepts package deliveries for the whole neighborhood at his gas station during the holidays, so there’s no hassle in trying to arrange for a missed delivery – or wondering where lost or stolen packages have gone while you were at work. Obviously he’ll do your winter service or a needed repair too. This isn’t small-town stuff, but these are small-town priorities in a progressive university city of more than 80,000 people. So when you’re out shopping for Small Business Saturday, in whatever city you love, take that extra step and identify opportunities beyond the artisanal boutique and the craft brew pub. They’re fun, but Shop Small really works best when it’s not always fun. What it is instead is a commitment to a community, where the errands are sometimes boring and the products aren’t exciting but they are real life. Go find out who’s there!